There are so many fun factors about Halloween. First, there are the pumpkins: pumpkin carving, pumpkin patches, pumpkin pie — and an annual viewing of the TV show, It’s the Great Pumpkin, Charlie Brown. Next, you can’t forget candy, like Brach’s candy corn, which are only available seasonally in the autumn, making them a particularly delicious and coveted treat. Then, there’s all that scary stuff: haunted houses, witches, goblins and ghouls — boo! And finally, perhaps the best part is the costumes – for one day out of the year, you get to be anyone you want to be, celebrities included. For anyone looking for a little romance on a holiday that’s typically filled with fright, you’re in luck! Here’s a list of celebrity couples whose looks can be transformed into costumes. One of them may be the perfect fit for you and your partner. 1. Justin Bieber and Selena Gomez: For the teeny-boppers out there — or anyone hoping to feel a bit younger for an evening — the prince and princess of pop make a very suitable duo. For Bieber, any guy with longer locks can sweep his bangs to the side, and any boy with a shorter ‘do can simply throw on a sideways Yankees hat. Add a pair of Ray-Ban Wayfarers (dark lenses not necessary), jeans, and a hoodie, and you’re set! For Gomez, you can rock a casual but glam look: skinny jeans, a flowing tank top, flats, hoop earrings, and wavy hair. If you really want to channel these two lovebirds, PDA is highly encouraged. 2. Katy Perry and Russell Brand: This eccentric and oh-so-in-love couple is an ideal choice for anyone looking to get a little crazy this Halloween. Perry has donned a number of hair colors and styles over the years, so take your pick: bubble-gum pink or bright blue, jet black, or her most recent, honey-hued blonde. As for outfits, anything is fair game, even that sassy and sparkly Smurfette dress that’s hiding in your closet. For Brand, the look is quite low-key: a pair of skinny jeans and a tight (and low-cut) t-shirt, along with un-brushed and knotted hair, some stubble, and a bit of guyliner. Oh, and don’t forget the British accent. 3. Prince William and Princess Catherine: Their wedding may have been months ago, but people are still talking about these newlyweds, the Duke and Duchess of Cambridge. Princess Catherine has taken the fashion world by storm with her chic and totally relatable style, making her the ultimate princess to emulate on this costume-filled holiday. 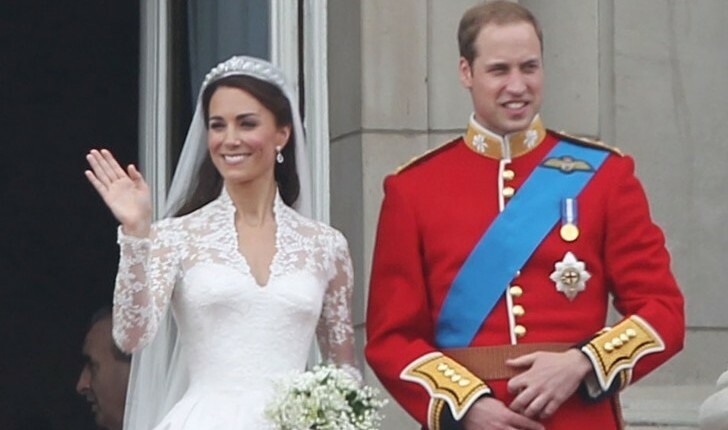 To truly standout, opt for their wedding look: your man can wear an outfit that resembles Prince William’s Irish Guards’ red military uniform, while you can get glamorous in a lacy and flowing white gown, a beautiful sapphire (faux) engagement ring, and a bouquet of flowers. Complete the look with a tiara, of course. 4. Blair Waldorf and Chuck Bass: Okay, okay — so they may not be a realcelebrity couple, but they’ve certainly made their mark as the “it couple” in the Gossip Girl–World of the Upper East Side. To imitate this high-society pair, girls should pull together their most designer-drenched look. Choose from high school Waldorf, who wouldn’t have been caught dead without her preppy headband, or the now college-aged fashionista, who has adopted a more grown-up dress code — just be sure to accessorize accordingly. As for Bass, a guy only needs a three-piece suit, bow tie, pocket square, and all the charm that he can muster. Cupid wants to know: Who do you want to be for Halloween?